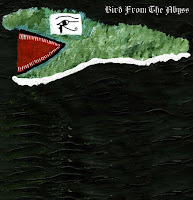 Plug "Bird From The Abyss - I" to your headphones, take a trip to the darkness of your local forbidden forest and experience the unreal. Hailing from Finland, Bird From The Abyss is playing music from the unknown depths, according toancient Gods long forgotten. Primitive instrumental / fuzz doom folk / heavy psych. Good fill someone in on and this post helped me alot in my college assignement. Thank you for your information.